Buy this and your school gets £25.96 to spend on books Orders of £10 or more will earn 25% of your order value back in Scholastic Rewards for your school. So: you’re growing up as a reader. Maybe you can read longer stories alone. But does that mean you should have to forfeit the joys of a brilliant picture book? No! After all, picture books are for everyone. Even grown-ups love graphic stories. Wonderful writing goes with beautiful artwork just like fish goes with chips. 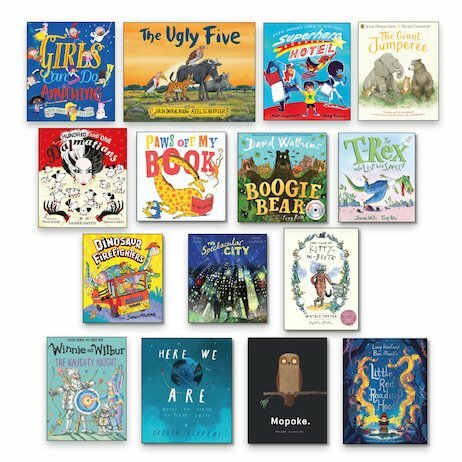 If you feel the same way, get your mitts on this lovely pack: full of thrilling, challenging, funny picture books to engage your brain, open your heart and tickle your ribs. A great way to keep entertained – and a great way to develop your reading. Share them or read them alone: the choice is yours. Enjoy!